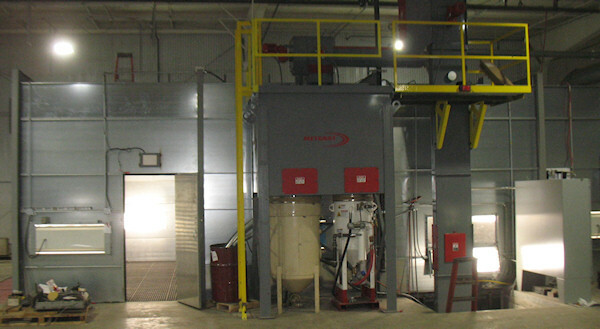 Blast Cleaning Technologies pressure Blast Pots includes pneumatic controls, combo valve and Thompson valve. This is an intermittent auto-fill type tank. The dead man switch pressurizes the tank and enabled blast. Releasing the dead man switch disables the blast and depressurizes the tank. This allows abrasive stored in the hopper to refill the tank. We also supply blast hose assemblies and blast nozzles.